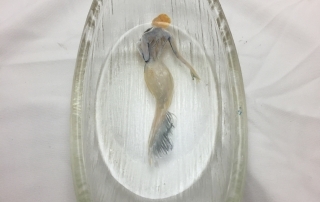 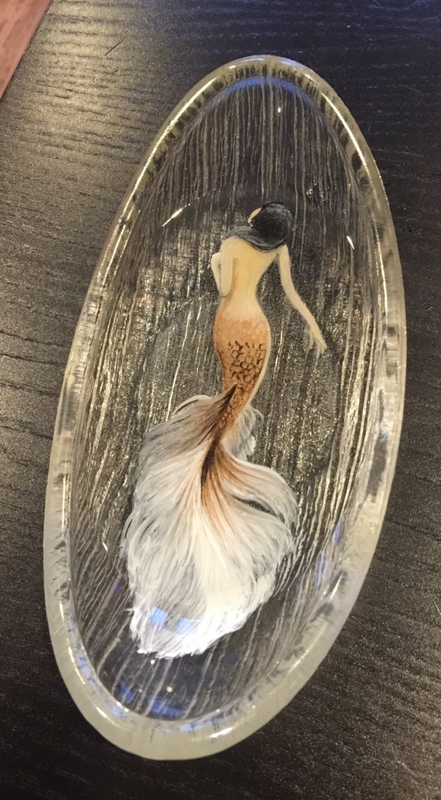 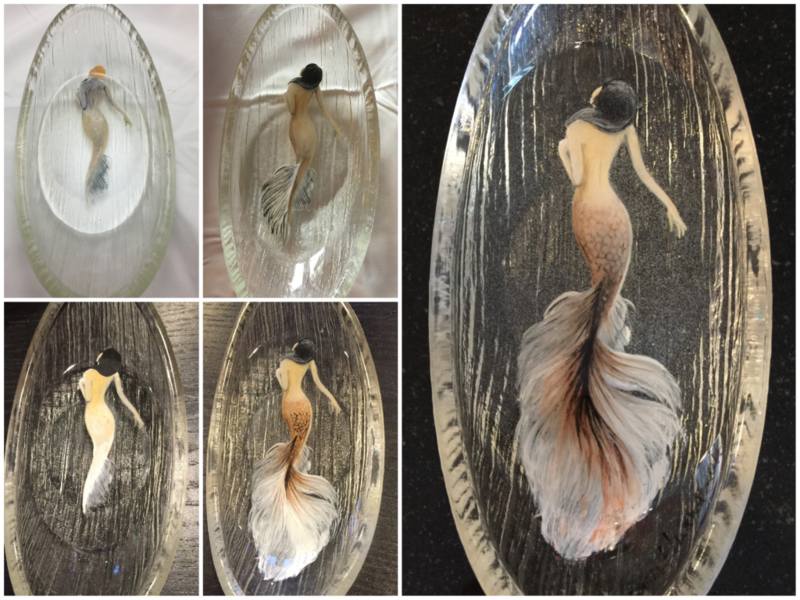 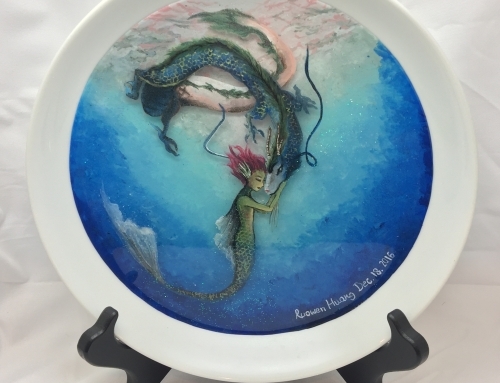 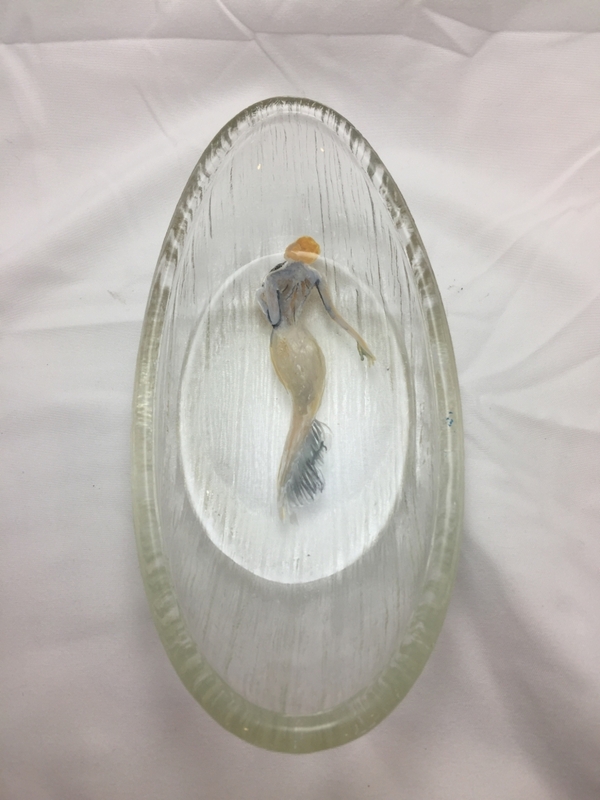 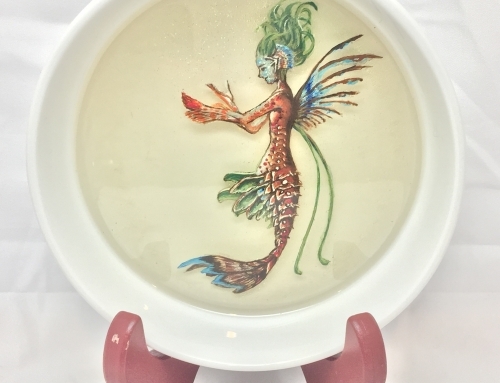 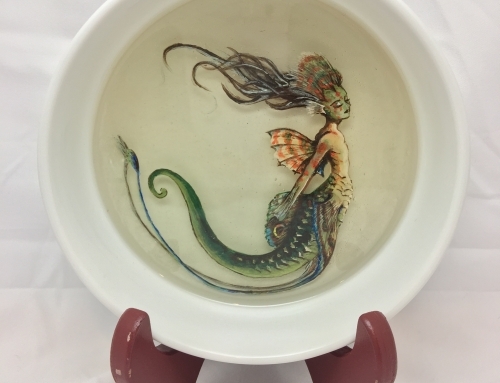 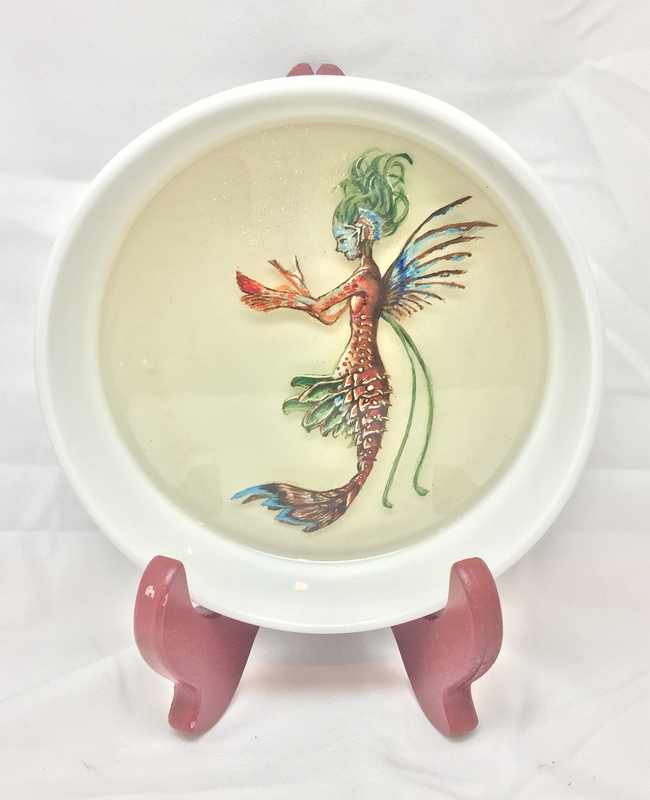 By now, I am very familiar with painting mermaid (which is what inspire me to try resin art at the first place). 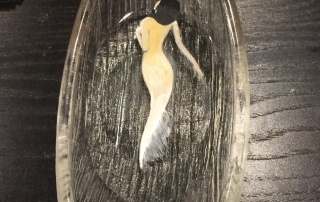 I got a good idea on how to chop them in layers (like body work) and I got to understand how acrylic paint response to resin as well and am more capable to manipulate the paints on resin. 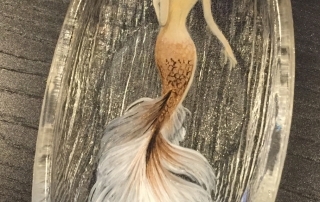 Among all the mermaids I painted, this one is my favorite by far. 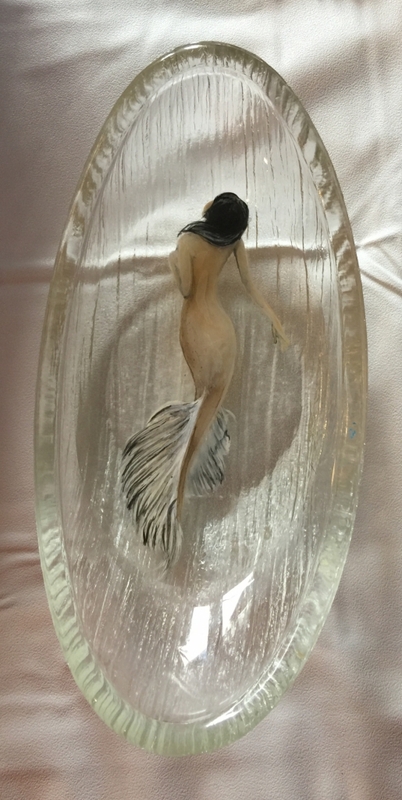 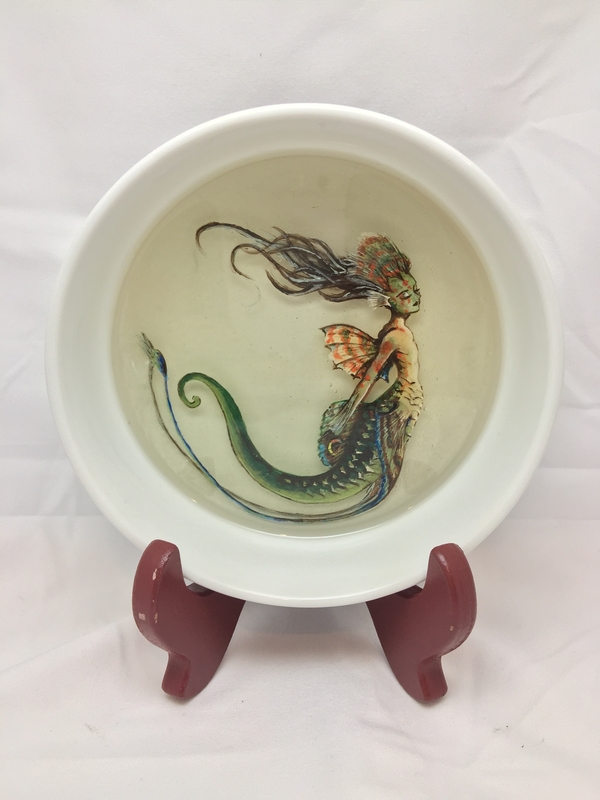 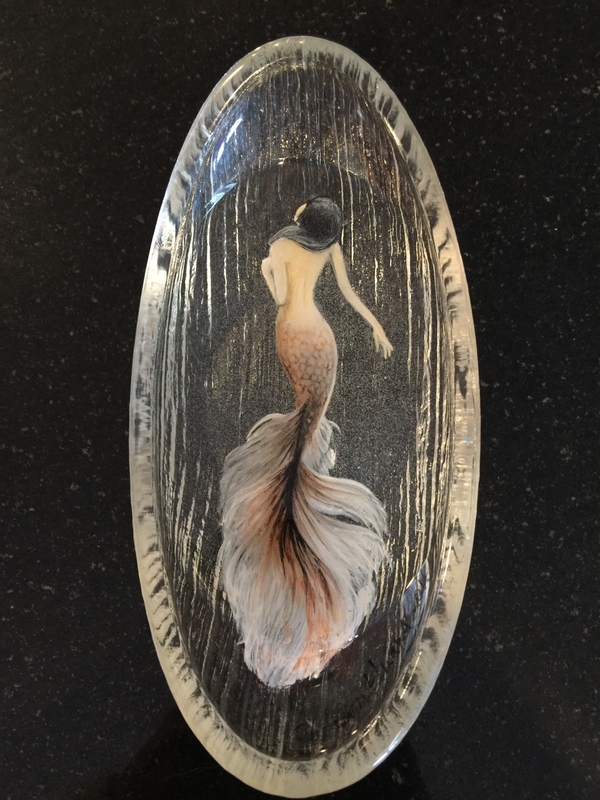 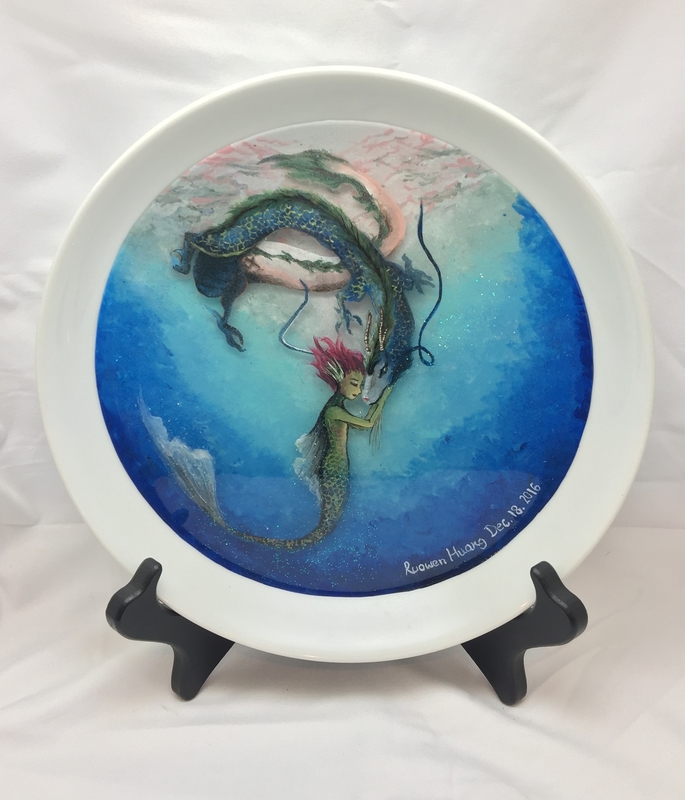 Inspired by the amazing artist on Pinterest (I will later on attached the link as well in case many of you would like to buy their artworks), this mermaid has an elegant feel to it. 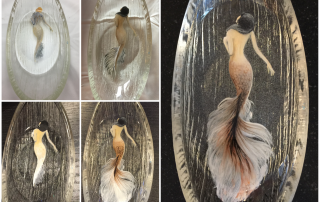 I do realize that resin art require continuously analyzing about which layer to paint first and how you can create a 3D feel to it. 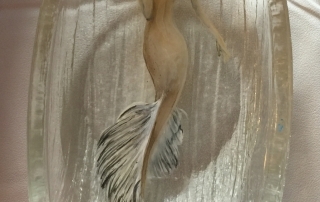 This is to say that it’s definitely easier to study a picture or know EXACTLY what you are painting before you paint. 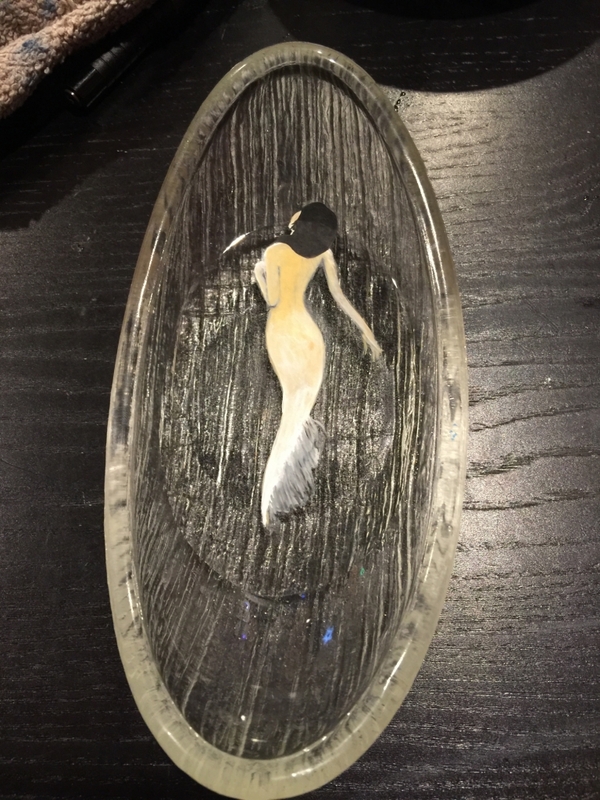 So for many of you who may be a beginning like me, I do suggest you to pick a picture you like and imagine how you would chop it in 5-6 layers before you paint. 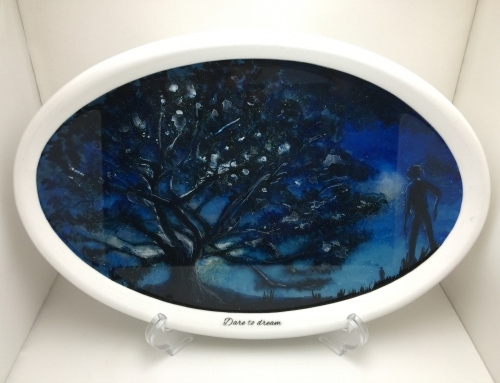 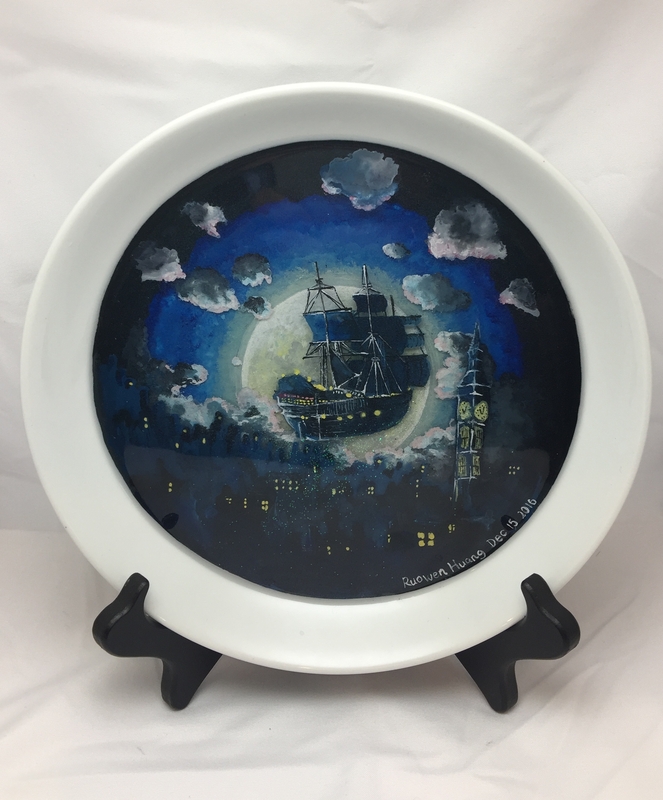 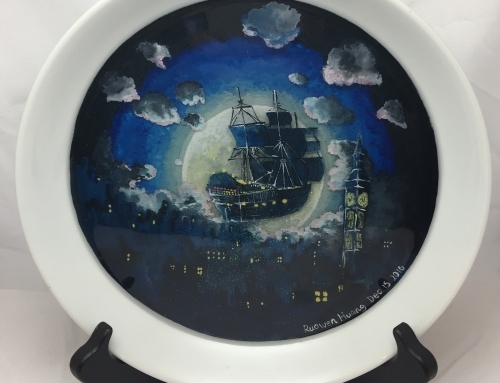 And practice painting on glass just to grasp a feel of the paint and how it response to all elements around it.